Wuyi Rock Tea enjoys a long history. Being one of the top tea in China, it is also the forefather of Oolong tea. It played an important role in the tea development in China. During the North and South Dynasty (about 479 A.D) the tea had already been well-known. Later in Song and Yuan Dynasty it was paid as a tribute to the royal family. In the sixth year of Dade Reign in Yuan Dynasty (about 1302 A.D), a Royal Tea Garden was set up by the bank of the Fourth-bend of the river. In Ming Dynasty tea makers improved the tea-processing techniques, thus producing the oolong tea, which is the present Rock tea. In the 17th century, Wuyi tea was even sold abroad and enjoyed an even greater reputation. Wuyi Rock Tea, with its "special rock charm and fragrance" is well-known at home and abroad. The most famous is the Big Robe Tea for it is the King of Tea. The Wuyi Rock Tea is especially noted for its high quality, due to its natural environment of green mountains and clear waters, as well as its unique techniques. Therefore when you drink the tea, you'll fell an everlasting fragrance in your mouth. The "rock charm" of the tea has always been a delight and a desire. The main component of Wuyi Tea is middle-sized or small-sized leaves and tea made of these leaves is called Wuyi rock-essence tea, which is the earliest Oolong Tea and the treasure of Oolong Tea. It grows in the area governed by Wuyishan City. Mt.WuYi has precipitous cliffs, deep pits, and huge valleys. The ancient people planted tea trees in the rock pits, crevices, and cracks by building embankment with rocks. Year in year out, Mt.Wuyi has ended up with rocks in every corner and tea trees amidst all rocks. People call the oolong tea produced in Mt.Wuyi the WuYi Rock Tea.With beautiful landscape, it is a famous tourist resort. The well-known WuYi JiuQu stream flows through the mountain. 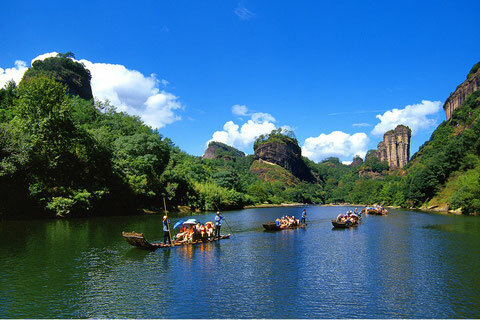 In fact, the WuYi Rock Tea has played an important role in putting Mt.WuYi on the map. There are top four famous MingCongs: DaHongPao (Big Red Robe),ShuiJinGui (Water Golden Turtle), BaiJiGuan (White Comb), and TieLuoHan (Iron Arhat).The WuYi Rock Tea is well-known at home and abroad, which has much to do with large number of MingCongs, the kinds of rock tea. 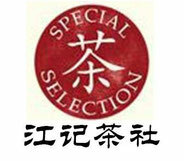 Among the top 4 MingCongs, DaHongPao is the best and it is called the king of kings of the WuYi Rock Teas.